Binh Chau Hot Springs is located a couple of kilometres inland from Binh Chau fishing village, on the Binh Thuan coast, 120km east of Saigon. 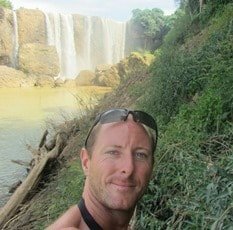 The resort and the springs are one and the same: Saigon Tourist effectively owns and runs both, and the swathe of land they control is enormous. 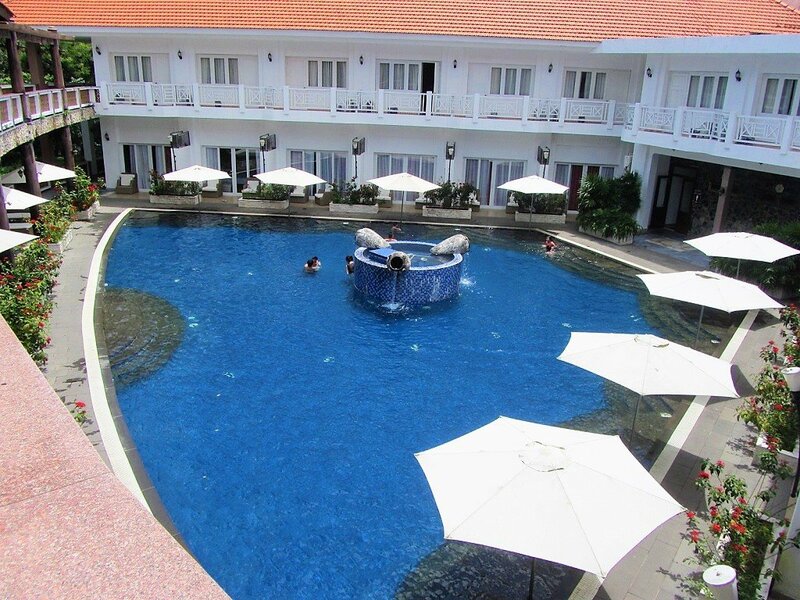 Accessed via a good road branching off Highway QL55 and the Ocean Road, the Binh Chau Hot Springs Resort & Spa covers many hectares of lush, tropical woodland, where the thermal springs bubble up from primeval-looking pools of dark water. Although a concrete walkway leads around the hot springs in their natural state, most of the hot spring-related activities are heavily commercialized and built-up: don’t expect to be bathing under a natural cascade of steaming water. However, Saigon Tourist has recently revamped the entire complex and things are now looking more attractive than ever. 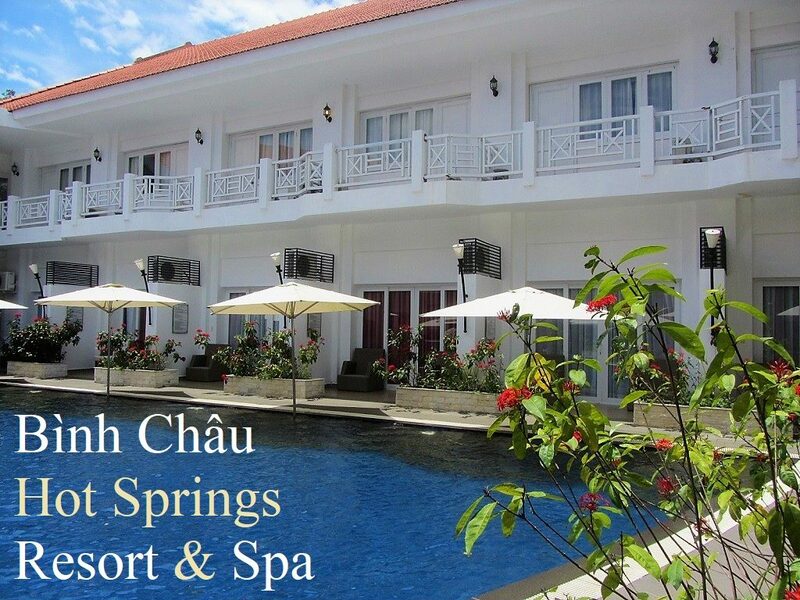 A daytime visit to the springs is a lot of fun (read more about it here), but in this review I focus on the accommodation at Binh Chau rather than the springs themselves. Saigon Tourist-run hotels and resorts used to be cheaply-built mid-range accommodations at high-end prices: a facade of luxury masking very average quality. 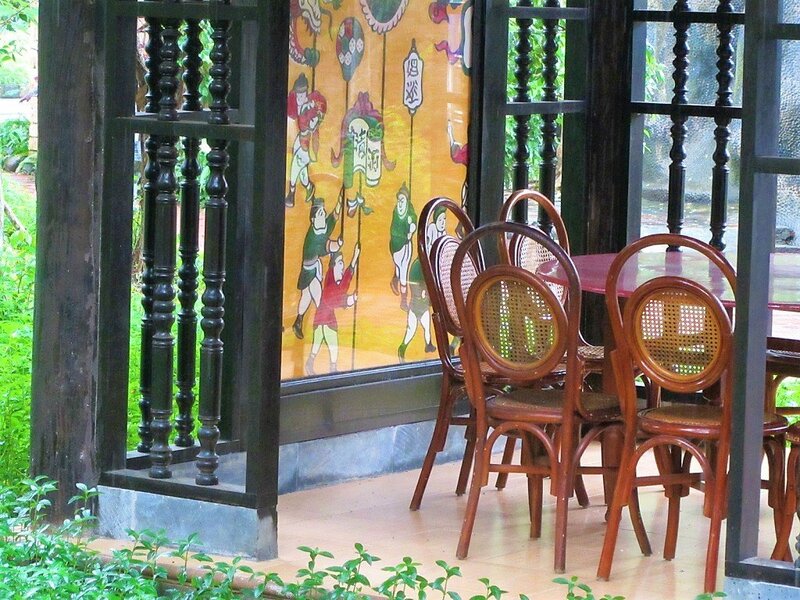 But, in the last few years, Saigon Tourist has been busy improving its facilities, upgrading its building materials, and refining its general aesthetic. 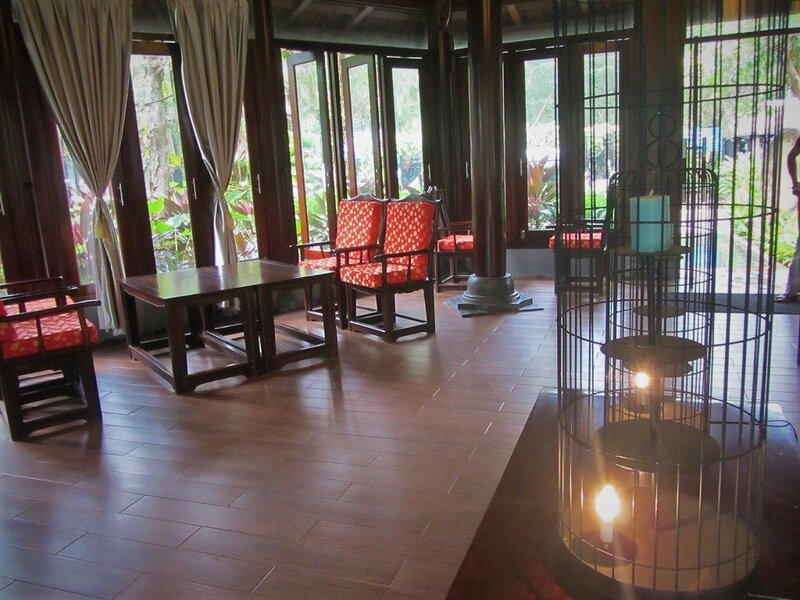 This is particularly apparent at Binh Chau Resort & Spa, where even the reception – a handsome little wooden ‘shrine’ at the entrance to the hot springs – is beautifully made with large wooden beams, hanging lanterns, traditional Vietnamese wooden furniture inlaid with mother-of-pearl and softened by imperial-coloured textiles. 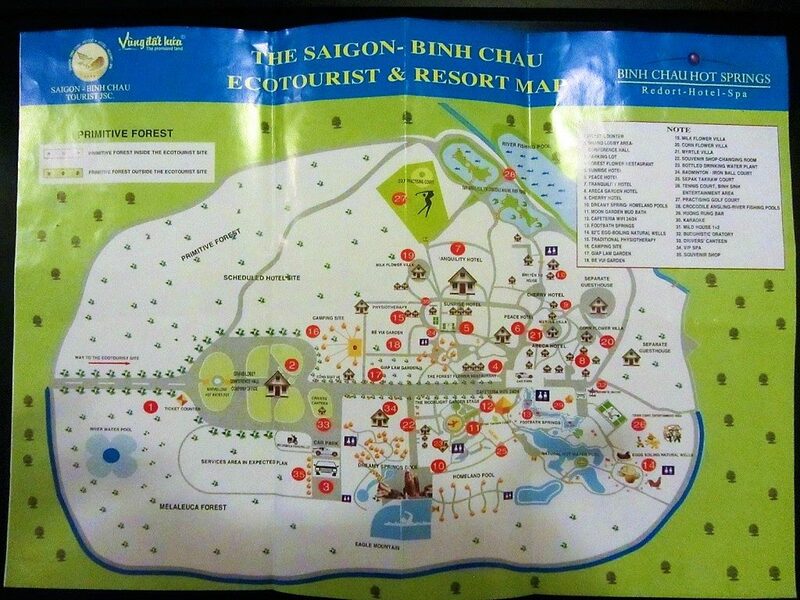 Upon checking in, guests are issued with a map of the resort and hot springs complex. This is when you begin to understand the size of the grounds: there are over thirty markers on the map, from cafes and restaurants to spas and crocodile enclosures. In general, the resort facilities are all on the left of the main walking avenue that bisects the complex, and the myriad hot spring activities are on the right. 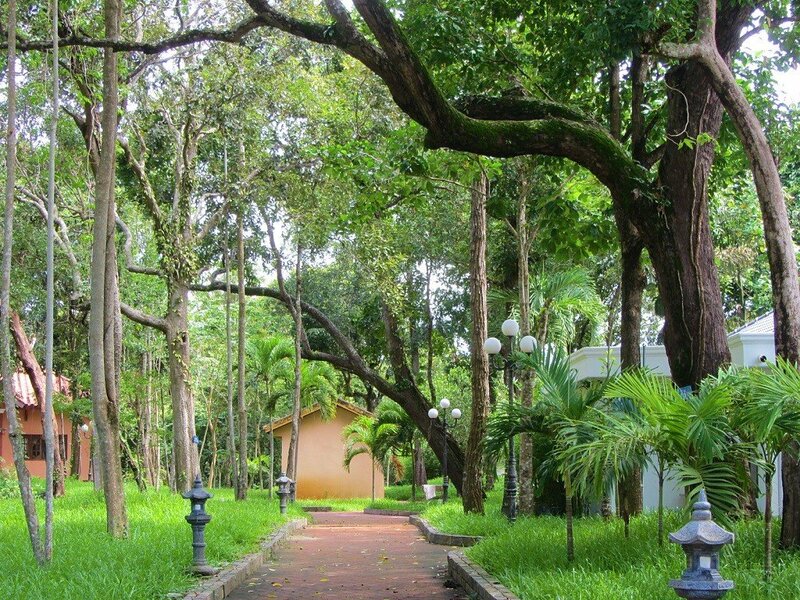 One of the most appealing aspects of Binh Chau Hot Springs is the abundance of tropical greenery: pathways winding through the resort are lined with low-growing palms and giant old-growth trees, while the flowerbeds are planted with colourful heliconias and West Indian Jasmine. It’s a peaceful, perfumed (and hot) stroll from reception to the rooms. During this 5 minute walk, you’ll pass through a few ‘sections’ of the resort (all marked on your map). The first is an ‘animal garden’ dotted with gaudy models of flamingos, giraffes and such. Immediately after this, the path moves through an attractive collection of wood and tile pavilions, under which handsome traditional furniture is lit by hanging lanterns. Colourful murals of dragons and other Vietnamese symbolism decorate the walls. I found this a particularly atmospheric place to sit and read: a sort of contemplation shrine. The architecture and decor are wonderful, and I’d gladly build my house along similar lines. Then you reach the accommodation. Guest rooms are spread over several separate buildings, including long single storey bungalows and private villas under the jungle canopy. 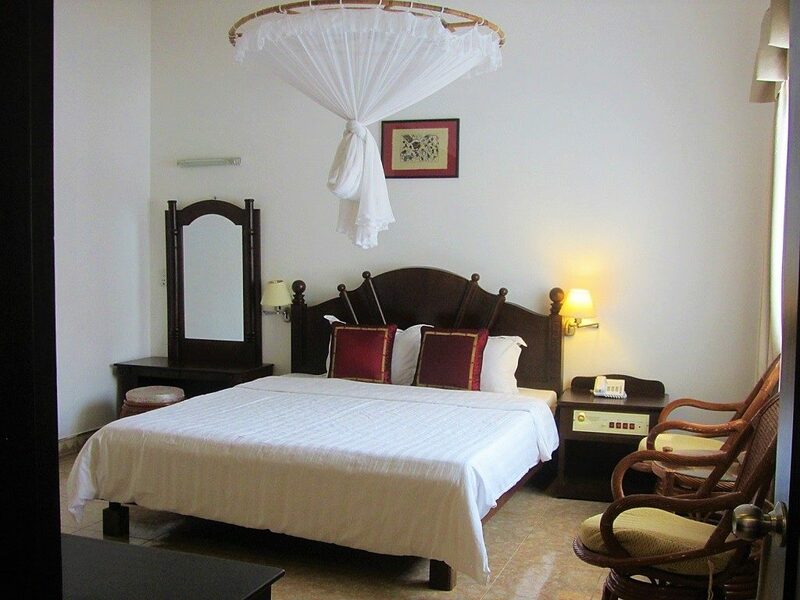 However, the best option – and the one you should try to book – is the new Binh Tam Hotel building. This attractive, two storey, white-painted structure is where the Executive Deluxe rooms are housed. 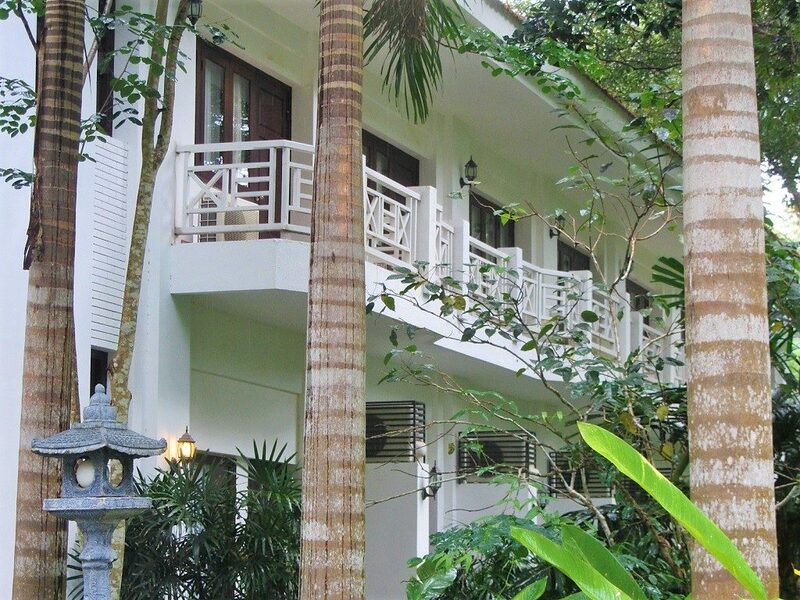 Surrounded by impressive tropical foliage and echoing to the sound of birds in the morning and frogs in the evening, the Binh Tam Hotel has good, spacious rooms and a large private swimming pool in its courtyard fed by the hot springs. 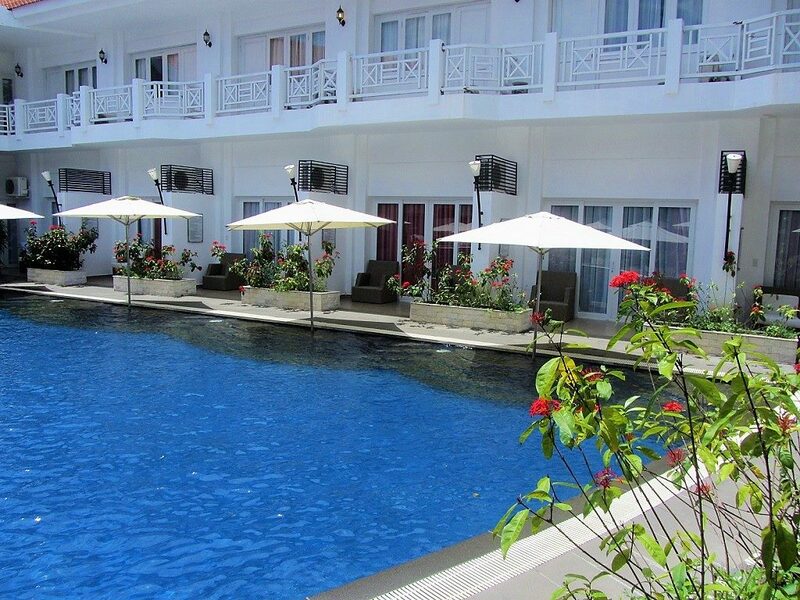 Whether you get a pool-view or a garden-view, on the ground or the first floor, the rooms are all very agreeable. Plainly but comfortably furnished – including some pretty bamboo tables and chairs – all rooms feature balconies or floor-ceiling opening windows, bathtubs, TVs, decorative tea sets, and all the standard modern conveniences that you’d expect, such as air-con and a minibar. The pool is a great place to relax and good for kids too, because it’s quite shallow. The temperature of the water is not as high as the main hot spring bathing pool (see your resort map) and this is probably a good thing, because the water there is so hot it zaps your energy. The water in both pools is supposed to have curative properties, and many of the guests are older people – grandparents visiting with their extended family – which, I found, creates a pleasant, convivial atmosphere. Breakfast is included in the room price. Served in the impressive ‘Forest Flower Restaurant’, the quality of the food does not match the grandeur of the dining room. 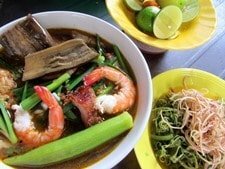 However, dinner ordered off the à la carte menu is a lot better, especially if you choose from the many Vietnamese dishes available. And this is a good thing, because there are few, if any, other dining options within walking distance of the resort. There is, however, a good cafe opposite the restaurant. 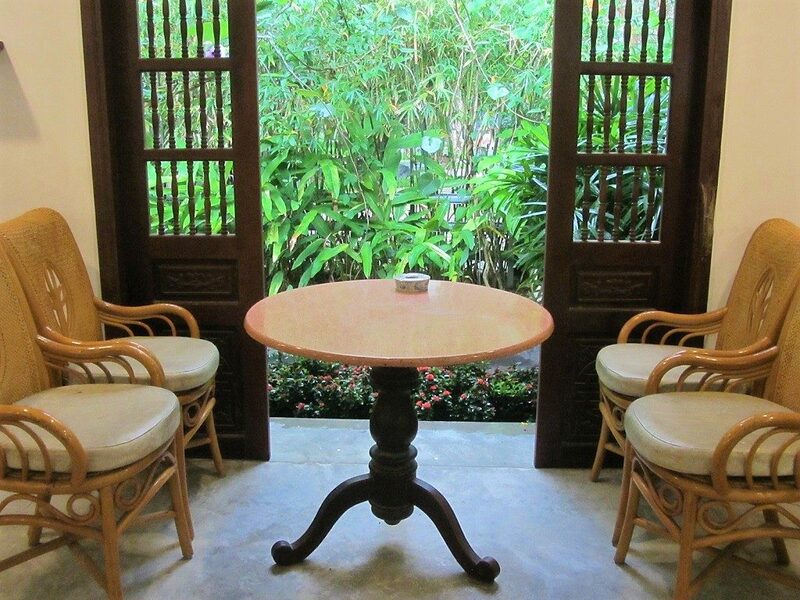 With slat windows opening onto the verdant gardens, the cafe serves decent coffee, cakes and snacks, and, once again, is furnished with handsome tables and chairs. There are many activities on offer at Binh Chau Hot Springs: from spa treatments to golf driving, from fishing to boiling eggs in the hot spring water. However, just ambling through the grounds on a morning or late afternoon is a pleasant enough way to spend your time. 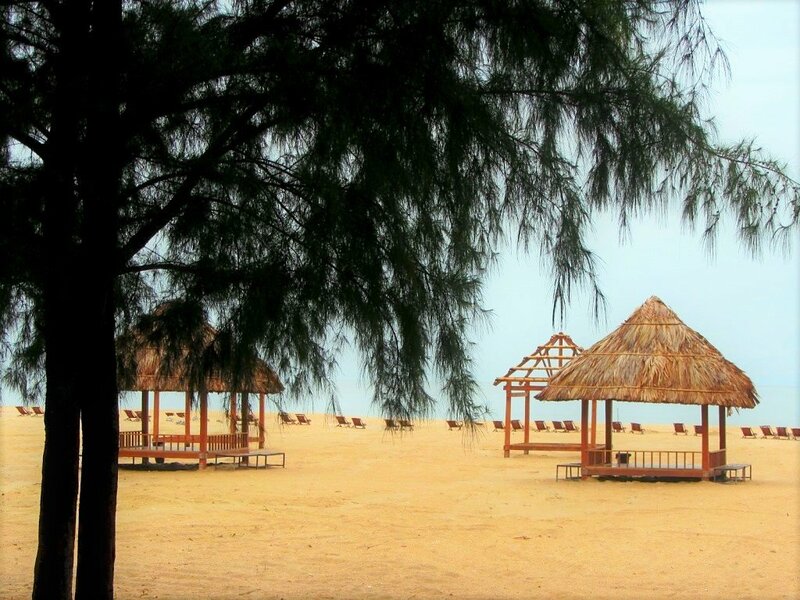 What’s more, Binh Chau Hot Springs is paired with Ho Co Beach Resort, just 15 minutes away by road. This beach resort on the Ocean Road is also run by Saigon Tourist, and guests of either receive free entrance to the other. 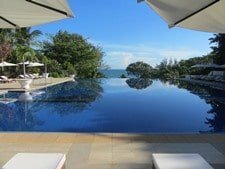 If the weather is good, make sure you take a trip to Ho Coc Beach Resort to wander along their long stretch of sandy beach and swim in their pools. I used to think of Binh Chau Hot Springs as a rather tacky, overpriced destination, aimed mostly at domestic tourists. But now, after recent improvements in facilities and decor, I really enjoy spending a quiet night here among all the greenery, soaking up to the remedial qualities of the hot spring water, and lounging in the large Executive Deluxe rooms. Combined with a night at Leman Cap Resort in Vung Tau and the ferry boat ride from Saigon, Binh Chau Hot Springs can be part of a relaxing and rewarding mid-range city getaway. [Average rates are between $45-$70 a night. 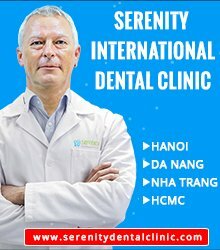 To check current rates, availability & make a reservation for Binh Chau Hot Springs please BOOK HERE]. 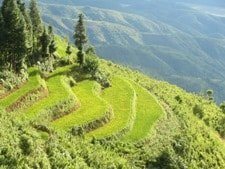 This entry was posted in ALL, DESTINATIONS, Ho Tram, HOTEL REVIEWS, The South, Waterfalls and tagged Binh Chau, Ho Coc, hot springs, resort, review, spa, Vietnam. Bookmark the permalink. Another very comprehensive article – much appreciated among many that only give half the story. 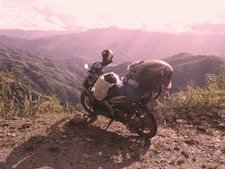 For those without a car or who don’t fancy 120km on a bike, are there any transport options from Saigon? Good question. I’m sure the resort has some kind of arrangement for transfers from Saigon, so it’s worth contacting them. There are also daily buses between Binh Chau (the little village) and Saigon’s Mien Dong bus station, but I don’t know the times. Otherwise, you could get one of the many shuttle buses between Saigon to Vung Tau, get them to drop you at Ba Ria and take a taxi from there to Binh Chau.